The wreath is up on the front door and the mistletoe is hanging in the lobby...K-hristmas has arrived at K West Hotel & Spa in Shepherd’s Bush! For those looking for a Silent Night after a day of rockin’ around Westfield London, one of Europe’s largest shopping destinations, K West is offering four exclusive packages for Winter 2017. 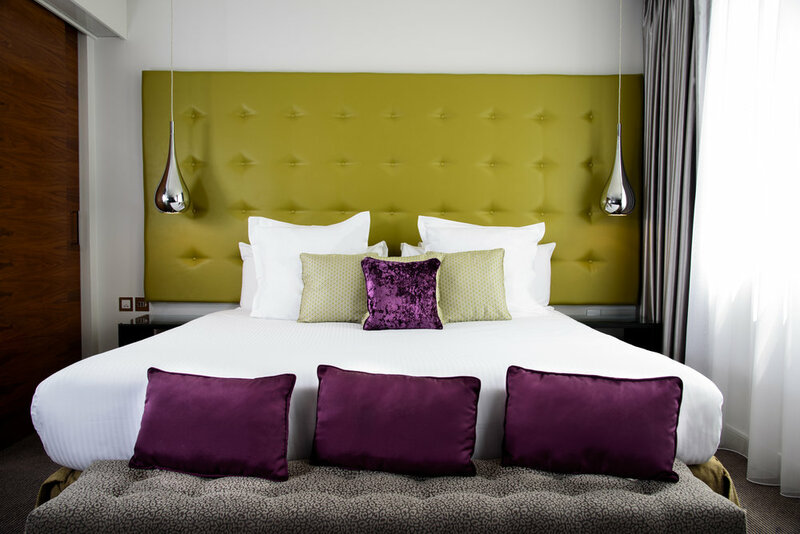 The Wrap Up package is perfect for those looking to spend a cold winter’s night literally wrapped up in one of K West’s luxurious bedrooms. Snuggle up and stay in - the guestrooms feature spacious 2x2 metre beds, Bose sound systems and The White Company bath products. Guests can also stay online with the Handy smart-phones placed in their rooms, offering complimentary calls to selected overseas destinations and unlimited data browsing to take on the go. The Wrap Up package includes accommodation across all room categories, a delicious cooked breakfast in Studio Kitchen the following morning, and a festive cocktail upon arrival. Valid from 20 November 2017 until 28 February 2018.